358 George St Brisbane City. Directors: Dirk Yates & Grant Stevens. We started talking about establishing a gallery in our final year of university at QUT. 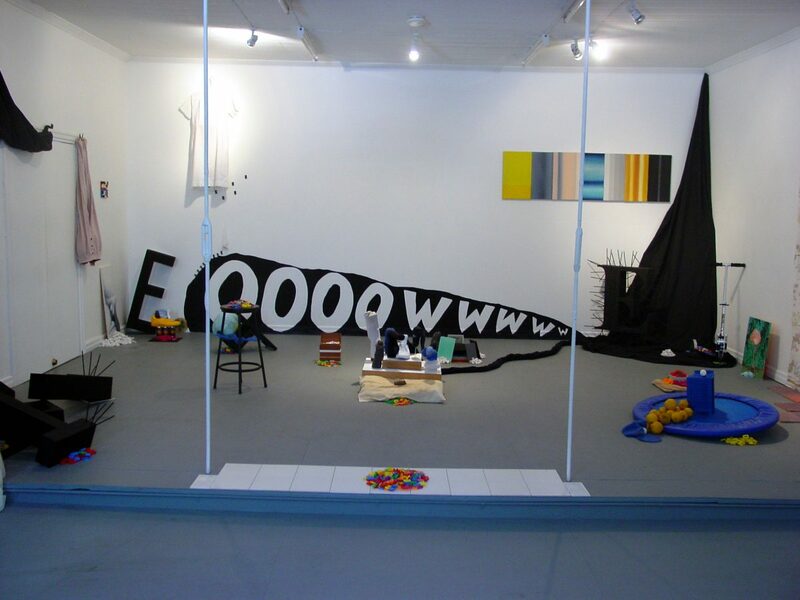 We were 20, installing art at the IMA and the then Brisbane City Gallery, and considering how the existing galleries in Brisbane weren’t necessarily showing the type of emerging art practices that we thought were engaging. 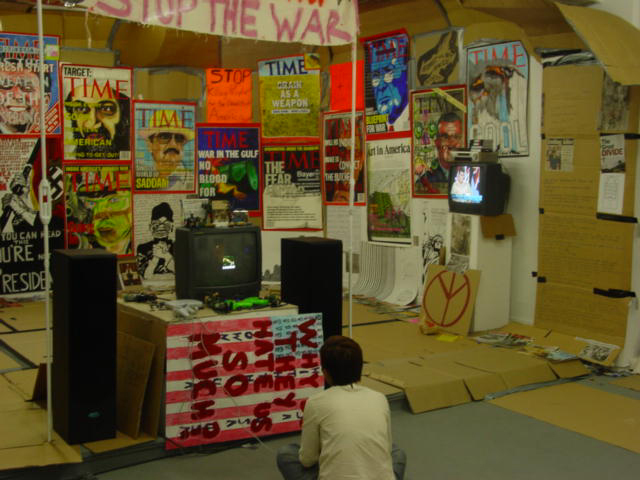 In 2001, the predominant exhibition venues for young artists were either rental spaces, galleries associated with the art schools, or the seemingly great leap to the IMA. 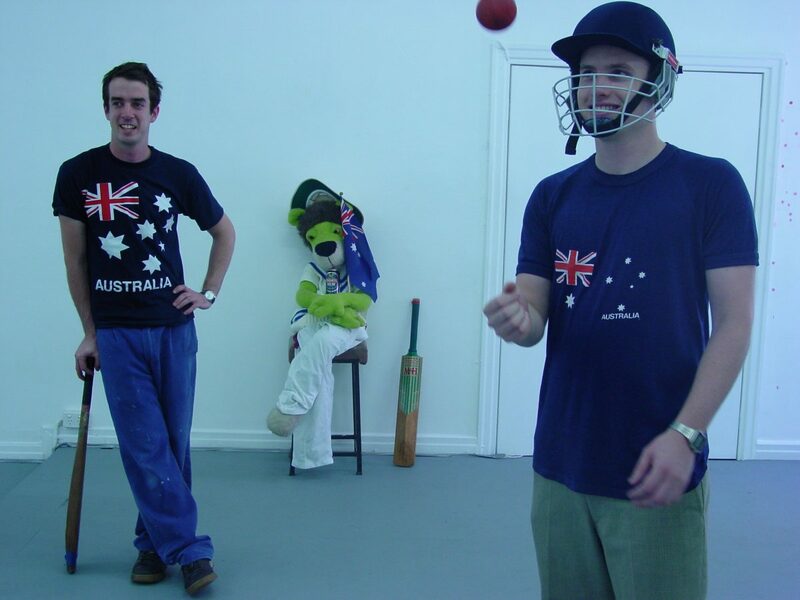 Through work and social sport we were engaging with people like Rod Bunter, Simon Wright, Rex Butler, Jemima Wyman, and Peter Alwast, who had experience or association with artist-run galleries in Brisbane and were very supportive for us to make a new exhibition space of this type. The ephemeral nature of ARI’s means that their presence in the community can wax and wane and in 2001 we could see the need for another venue. It took us almost nine months to find a building that worked with the business structure we wanted to implement. 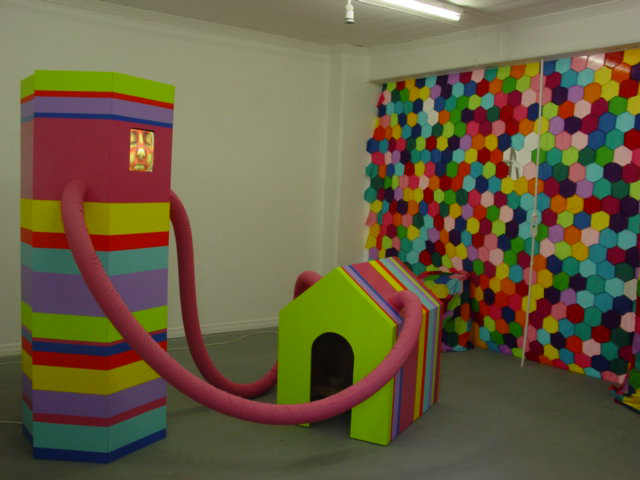 To avoid the exhibition program being defined by which artists were able to pay as opposed to the artists that we wanted to see, we looked for buildings that would suit an organisational structure to offset the rent of the gallery. Initially this was looking to rent-out studio spaces to subsidise the gallery, but eventually we found a building that would enable us to live on site to subsidise the rent. 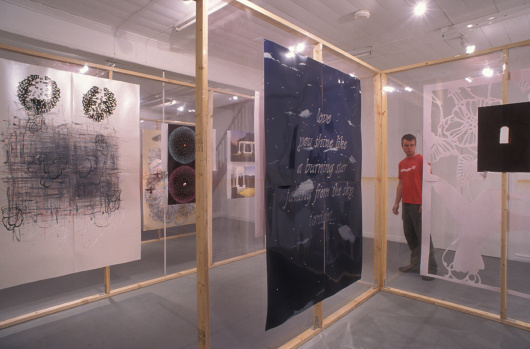 Above a bookstore dedicated to war (Napoleons) and next door to the Dendy Cinema, we opened in September 2002 with a program consisting of a continuous rotation of a three-week exhibition followed by a one-night show. It was fun. And being able to spend a lot of time with exhibitions was an unexpected joy. In establishing the gallery we were lucky to get a great deal of support from QUT through the ineffable characters Mark Webb, Donald Fitzpatrick and Warren Sutton. Craig Redman and Karl Mayer from Rinzen designed our logo and gave us a recognisable brand that we used to sell t-shirts, badges, and stubby coolers. People came, and it was a mixture of personalities from across the art community. We were trying to be professional in how we presented the art, and the openings tended to be more like parties. We wanted to make opportunities for artists to make money from their works, so we had a stock-room and developed exhibitions with commercial galleries and art fairs. We thought commentary on the artists being presented was critical. 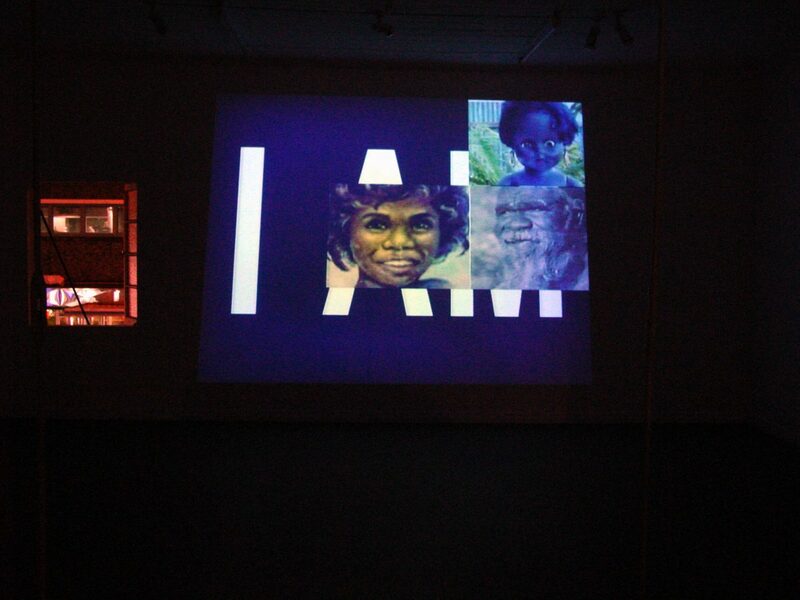 Each exhibition was accompanied by a catalogue with an essay from a local writer. 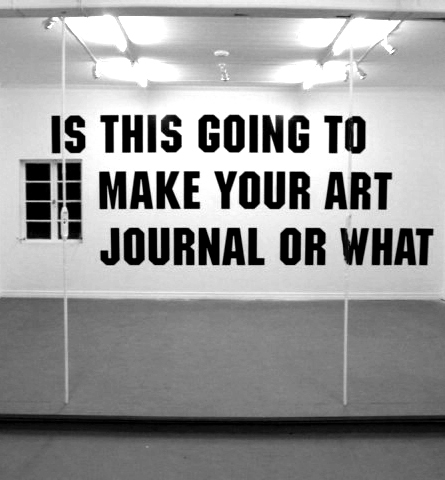 Then to broaden the dialogue we established a monthly journal, with Sally Brand and Natalya Hughes, titled Local Art that we distributed to other galleries nationally. Richard Bell’s WHAT. CHEW. GUN.ADO? was a memorable article in issue 5, 2003. The Farm ran from September 2002 to December 2004. Towards the end of that time we were conscious of the limitations of our own interests, the importance of diversity and change in the community, and the opportunity to hand the venue over to another group of people. And so was born The Whitehouse. We worked with some wonderfully talented and generous artists, including: Ashley Paine, Chris Handran, Chris Howlett, Craig Walsh, Daniel Templeman, Danius Kesminas, David M. Thomas, David Spooner, Gemma Smith, James Dodd, Jess Hynd, Kim Demuth, Kitty Taube, Lily Hibberd, Mark Webb, Martin Smith, Matt Dabrowski, Peter Alwast, Rachel Haynes, Shaun Weston, Tara Pattenden, Tony Albert, and Wilkins Hill. Thank you! Ashley PaineBrisbane ariSBrisbane ARIs 2000sBrisbane ARIs Web 1.0Chris HandranChris HowlettCraig WalshDaniel TemplemanDanius KesminasDavid M ThomasDavid SpoonerDirk YatesGemma SmithGrant StevensJames DoddJess HyndKim DemuthKitty TaubeLily HibberdMark WebbMartin SmithMatt DabrowskiPeter AlwastQueensland ARIsRachel HaynesShaun WestonTara PattendenThe FarmThe Farm ARIThe Farm Directors: Dirk Yates & Grant StevensTony AlbertWilkins Hill.